In the recent years, the ‘Corporate entity’ has become the most vibrant and dominating sector in the commercial world, and gaining significance for its dynamic nature and multidimensional approach. The boundaries of the Legislative Framework are amplifying day by day. In these circumstances, there is the need of a strategic legal system in India with proper law and practice. The present Legal System is coerced with Unfair trade practices, Anti competitive issues, worse Corporate governance, fighting with corporate frauds, growing concerns of the shareholders, regulation of security market, role and responsibility of the directors, corporate liability, the controversial jurisdiction issues, multiple jurisdiction Vs no jurisdictions are the concern of the common man, practitioner, academicians, researchers and other stakeholders associated with corporate sectors. To embark upon all these issues, in the area of Corporate and competition Law, there is the imperative need of thorough research, intellectual deliberations, practical output, legal solution and creating awareness. 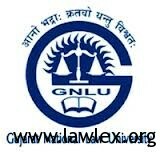 The GNLU Centre for Corporate and Competition Law is being established with multiple objectives. GNLU Centre for Corporate & Competition Law has brought this specially designed certificate course for the foreign nationals. For further detail, kindly download Brochure.